You are here:Home-Training-Brace yourself. To get stronger! Brace yourself. To get stronger! Below is the first submission by TPS Coach Andrew Simons. 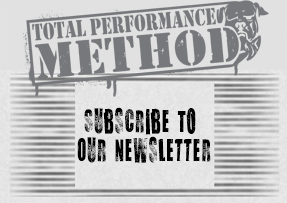 Andrew coaches the TPS Method, selected private clients and also teaches MMA/BJJ. We are hoping this is the first in a long series of knowledge bombs he’ll be dropping on you. Bracing, what is it and why is it so important? Bracing is essentially how you set up for squats, deadlifts, presses and pretty much every exercise out there. It is the process you go through to achieve a neutral spinal position that stays locked in. It is a truly critical element of lifting a weight efficiently. Spend time mastering the bracing sequence and your performance will improve. In 2002 Dr. Stuart McGill released his book Low Back Disorders: Evidence-Based Prevention and Rehabilitation, and it was a game changer. One of the topics covered is spinal movement under load, and how to prevent it. Translation; if your spine moves, bad things will happen! So, how do you make sure this doesn’t happen? Here’s how to set up. Set your feet at proper width for the given exercise and screw your feet into the ground to generate tension. Tuck your rib cage down and in, align it with your pelvis. Squeeze your abs like your life depends on it. Set your head in a neutral position and tuck your chin. Pull your shoulders apart and screw them into a stable position. Simple, 6 easy steps to set you up for success during your next training session. What is RPE and how do you use it? Thanks for the pictures – they’re helpful reminders. One distinction that came up for our little 2nd-week-newbies group a few days ago was the difference between screwing your feet into the ground so that only your ankles moved… vs screwing your entire legs into the ground (the visual check was "do your knees also rotate outwards?") and that might also be a helpful picture to have and point out later on, if there’s another post on this.